Martyn Hilbert's Railway Photography - Preston & District - Cravens Class 105 passes Hoghton. Cravens Class 105 passes Hoghton. 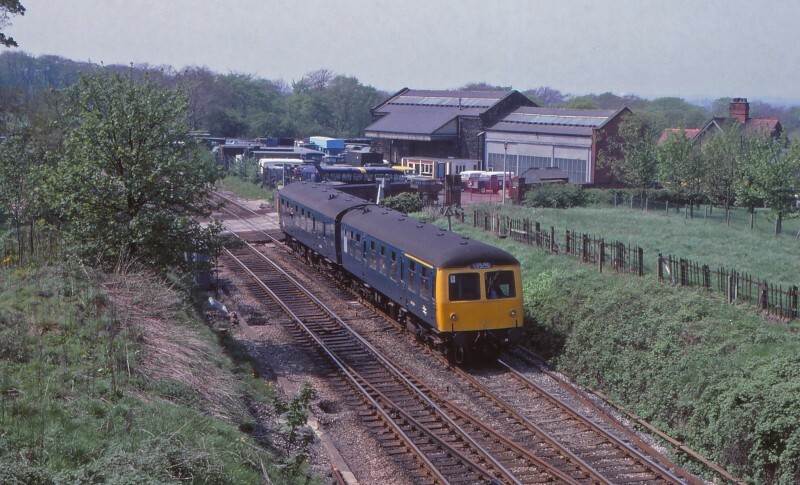 A Cravens Class 105 Power-Twin has just passed over the half-barrier level crossing at Hoghton with the 11.33 Preston to Colne on May 11th 1981. The former Goods Shed in the background was home to a dealer in ex Ministry of Defence vehicles. The area surrounding the line then had an open aspect, today the trackside is tree lined and the Goods Shed has been demolished and housing now covers the site.